Richard & Linda Antonio and Rick & Kathleen Ramirez invite you to prayerfully consider joining this Maricopa Bible study. 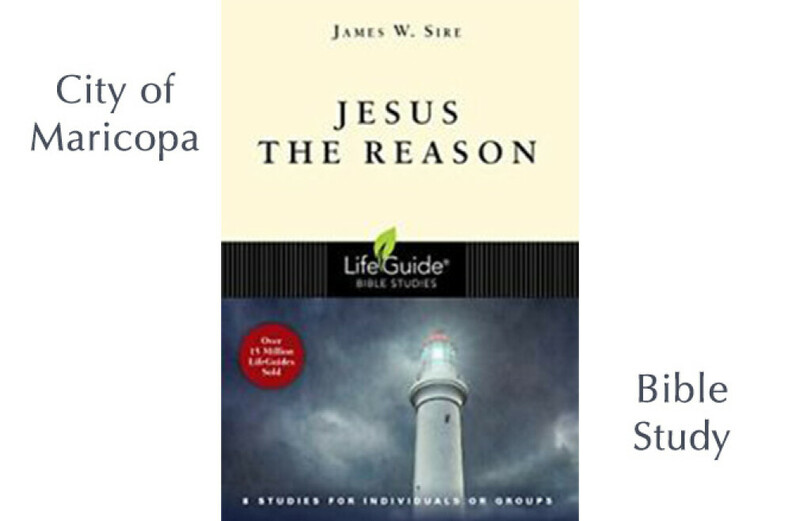 The group will be delving into the book of "Jesus The Reason" by James W. Sire. A short preview of the “Jesus The Reason” study: What reason do you have for believing Christianity is true? The best reason is Jesus himself. James W. Sire invites you to meet Jesus by digging deep into the Bible. You'll discover what Jesus did and said. And you'll be encouraged to decide what place Jesus has in your life today. Whether you are reading the Gospels for the first time or for the fiftieth, you'll find this investigative Bible study challenging and transforming. There are times when Jesus wants to show us something new. Come and see what God wants to show you thru this study. We have been so blessed that God has given Risen Savior members and guests so many Bible studies to enrich their Christian lives. We are looking forward to seeing who the Holy Spirit has moved to participate in "Jesus The Reason" study, Singles and Couples are welcome. Come to share fellowship with everyone following the study with dessert and refreshments. For further information and/or to participate, please call Linda at 480.452.8980 or Kathleen at 480.223.3609.